ROW 1 – felt house gift tag holder by i ManuFatti, Christmas trinket mobile hoop by Carina’s Craftblog, felt polar bear ornament by La Creature and You, and Christmas Hoop by Claire Payne. ROW 2 – embroidered Christmas mug rug by Button Button, polymer clay star ornaments by Saraccino, and knitted Christmas stockings garland by Knit Me a Cake. 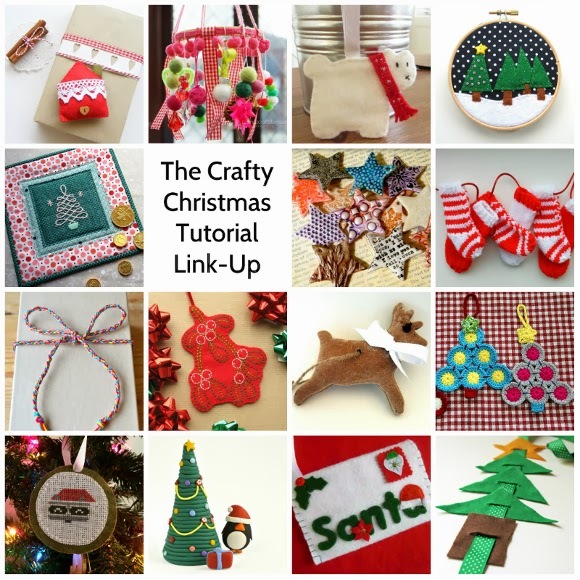 ROW 3 – DIY Christmas ribbon by Adventures & Tea Parties, embroidered mistletoe ornament by Bugs and Fishes, scented salt dough ornaments by Retro Delicious, and crochet Christmas tree decorations by Homemade@MyPlace. ROW 4 – Christmas cross stitch raccoon ornament by Hugs are Fun, polymer clay Christmas tree by Little Creatures, Christmas wish-list felt envelope by Jumbleberries, and felt Christmas tree toy by Pinwheels and Stories. ROW 5 – let it snow embroidery pattern by A Little Happy Place, festive wanderers embroidery pattern by Unexpected Kitty, festive felt and fabric coasters by Betz White, and holiday ribbon pillow by Mrs. Saint Nick. ROW 6 – felt gingerbread man gift tag by Grace’s Favours, crochet Christmas star jar covers by Dinki Dots, and edible Christmas ornaments by moi! 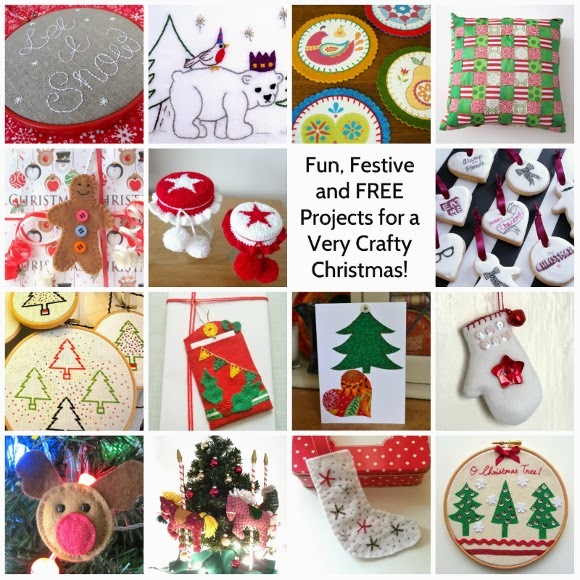 ROW 7 – cross stitch Christmas trees by Made by Mrs M, secret love letter Christmas gift tag by Crafts of Texture, applique love Christmas card by Halcyon Threads, and Christmas mini mitts by The Crimson Rabbit. ROW 8 – felt reindeer ornament by Pickle-Lily, Christmas carousel by Aura Verde Crafts, embroidered Christmas stocking ornament by Cocojude, and stenciled Christmas embroidery hoop by Angharad. thank you for visiting my blog and for liking my tutorial!!! !